By the definition, interior design is “the art and science of enhancing an indoor space to achieve a more aesthetically pleasing environment.” As an interior designer, you are tasked with making creative decisions that’ll transform a space based on a client’s wants and needs. The concept of interior design sounds simple – “Hey, anybody can do it” they say – but can they really? It’s so much more than pretty pictures on a Pinterest board! Interior designers are trained and have a keen eye for detail. Whether it’s choosing the right color palettes, fabrics, or furniture pieces, there’s a method to their “madness.” Every field has its experts, and we spoke with 7 in the field of interior design and asked them a few questions. From furniture, to industry trends, and wall décor, the experts shed light on these topics that are imperative to their work. Born in Russia and having an opportunity to travel all over the world, Svetlana Muzaleva has a unique insight into approaching the design from a more worldly perspective. She brings in a unique cultural understanding and incorporates the experiences that she accumulated in her travels into distinctive design solutions. On the first piece of furniture someone should invest in for their new home. I believe the most important piece of furniture (if I had to pick just one), would be your bed. This is where you spend 6-8 hours of your life every day. This is your place to recharge and relax which sets the tone for the day. Too often I find that people don’t understand the importance of it and continue to use same mattresses from their college life, or not upgrading it like they upgrade and invest in larger TVs. On mixing decor trends. And what's trending for 2017. To successfully mix décor trends in a space, the whole space and all the elements need to be considered. Just because one might love couple of different pieces of furniture or décor, doesn’t necessarily mean those will go well together. If someone is designing a space on their own – I always find it is a great idea to spend enough time figuring out what is it they really want – do the homework: magazines, design and manufacturer’s websites, Pinterest, Instagram, design blogs. Come up with an idea board and see if what they have on it is the space they want to spend their lives in (furniture, photos of interiors, colors, accessories). What needs to be taken out and what is missing and needs to be added in? What is usually hard for people not trained in interior design is getting the scale and proportion of the elements just right to make sense. The rule of thumb, if you are not sure – go with more neutral “important” pieces (like sofas, armchairs, casegoods) and add “fun” and trendy pieces that can easily be replaced if you come to dislike them or the trend passes (think pillows, side tables, smaller area rugs, accessories, wall decor). Another option – mixing in one or two “statement” pieces (maybe it is your sofa in a fun color or a piece of art) into a more neutral scheme. If you are working with a good interior designer – they’ll help to guide you through this process, will make sure the proportions are correct and will know more sources to find interior elements than the typical online and retail locations. On their go-to strategy for wall decor. I am very fond of “interesting walls”. There are so many ways to embellish the space by paying more attention to them. The options are limitless: anything from luxurious or fun wallcoverings that are abundant to interesting arrangement of art to a beautiful millwork paneling with incorporated elements for ether media or storage. I do prefer to have an accent wall instead of treating all of them the same. It gives the space a focal point and also quite often more budget-friendly way to add the drama and elegance to the space without going all out. Homeowners should invest in the furniture that will get the most use and where they will spend the most time. For example, in the living room it is the sofa. Investing in furniture doesn’t mean that you must spend a fortune. I encourage homeowners to make sure that the furniture meets their needs and it’s comfortable. In the family room, I encourage homeowners to select seating that will meet their family’s needs and can withstand heavy use and wear and tear. A camel back sofa with firm cushions and wood trim may look nice and if its on sale a good buy, but it will not meet the needs of the family room. I tend to view mixing home décor trends the same way that fashion experts do on mixing fashion trends. Invest in the basics that you can hold on to for a long time and add trendy elements that can be easily updated when they go out of style. Everyone is obsessed with the Pantone color of 2017 Greenery 15-0343. Paint your walls in the color of the year is the easiest way to update your home with the latest trend. In a few years when it goes out of style, you can transform your home's interior with an updated color. Another home décor trendy of 2017 that I love is texture! I’ve always encouraged clients to use texture but I’m thrilled that its’ getting so much attention this year. I’m encouraging clients to embrace textured fabrics such as velvet, and faux finishes when painting walls. My go-to strategy for wall décor is to start with the wall structure. Before adding anything to the walls, look at how you can improve the architecture of the walls. Adding crown molding, decorative trim, and paneling can be all the adornment you need. It also increases the value of the home. When adorning walls with decorative accessories, I adopt a less is more philosophy. I steer clients towards art work or wall hung sculpture that is the focal point and inspiration for the room’s color palette. Jeffrey Welder is the Marketing Director and Interior Decorating Expert at Vant Wall Panels. Vant Wall Panels are the most innovative and user-friendly wall décor system ever created. Vant is inspiring living at its finest. They’re perfect for every room in the house, from bedrooms and living/family rooms to kitchens and the home office. When it comes to purchasing your first big investment piece of furniture for your new home, I always recommend either a quality sofa or a well-made kitchen table. Both tend to be the most used, and typically abused, pieces in your home. As people typically spend a great deal of time in their family/living rooms, whether they’re entertaining or watching TV, the sofa will show wear and tear in a few short years. But if you invest in a better built, more expensive model, it could potentially last decades. Your second best bet, the kitchen table, is obviously going to assume daily usage—sometimes several times a day. If your family shares many meals a week around the kitchen table or you like to entertain, do yourself a favor and invest now. A cheap table will show wear and break much sooner and you’ll find yourself in a position to upgrade sooner than you’d like. Decorating your home with mixed décor trends is a great idea, as it keeps your home from looking too matchy and uninteresting. Successfully mingling decor trends is achieved by finding a common thread between styles so that everything looks cohesive and like it belongs. You can do this by uniting colors and using a similar scale of furnishings. Modern Geometric Patterns. Watch for large, modern geometric designs in throw pillows, window coverings, bedding, rugs and wallpaper. Don’t feel like your home needs to have an all-modern design to add geometric patterns--geometrics even have a place in an industrial farmhouse style home. Black Stainless Steel. Brushed stainless steel has had a long run, well over a decade. As it slowly starts to fade out, a new, improved version will be making headlines in 2017. Black stainless steel is sleek, modern, and sophisticated. Expect to see black stainless steel in kitchens, laundry rooms, and other rooms in homes. photos. Rustic Chic. The trend of shabby chic, rustic home furnishings continues to be a winner. Whether it’s wall décor or a large hutch, rustic pieces give your home character, texture, and warmth. They also easily mix in well with other pieces, whether your home leans towards more modern or Scandinavian in feel. The wall space in your home is an expression of your personal taste and creativity. When choosing your wall coverings, think of what message you want to convey and the kind of atmosphere you want to create in the room. A few of my go-to strategies are modern wallpaper, decorative wall panels, and wall design such as shiplap and bead board. Each one of these bring a room to life and add an element of texture and creative design. They also require less additional wall décor. Laura Martin Bovard and her team at LMB Interiors create welcoming havens of beauty, comfort and grace that call people to perform the rituals of home and community: connecting with others, cooking together, dining together, playing and relaxing. Laura started her interior design company as a sole proprietor in 2002. The first piece of furniture you should really invest seriously in is a sofa manufactured with low- or zero-VOCs, made locally, with organic, eco-friendly, and sustainably harvested natural materials. Keeping to that standard will cost more than the mass-produced retail furniture we are used to seeing in Big-Box catalogues, however the value is in having a piece that will last longer as well as looking and feeling great, with a lower carbon footprint, and contribute to a healthier environment inside your home, and globally. We design classically, with handsome, tasteful lines, and neutral base furnishings, with the high-dollar investment items selected with an eye towards longevity, both in style and quality. That way, the trends can essentially play around them. If the trend is global chic (as is current in 2017) and you are using Ikat pillows, for example, when you are ready to grow into a new trend, then it’s easier to swap out pillows -- and accessories and lighting -- you can very quickly transform a Global Chic room into a Spanish Mediterranean. 2017 is seeing a lot of Mid-Century Modern, although this is also a classic look that never goes out of style. Deco-Glam is another trend… The thing is, everything has been done before… Now it’s all in. We don’t design with trends in mind, we design for the aesthetic of the client. 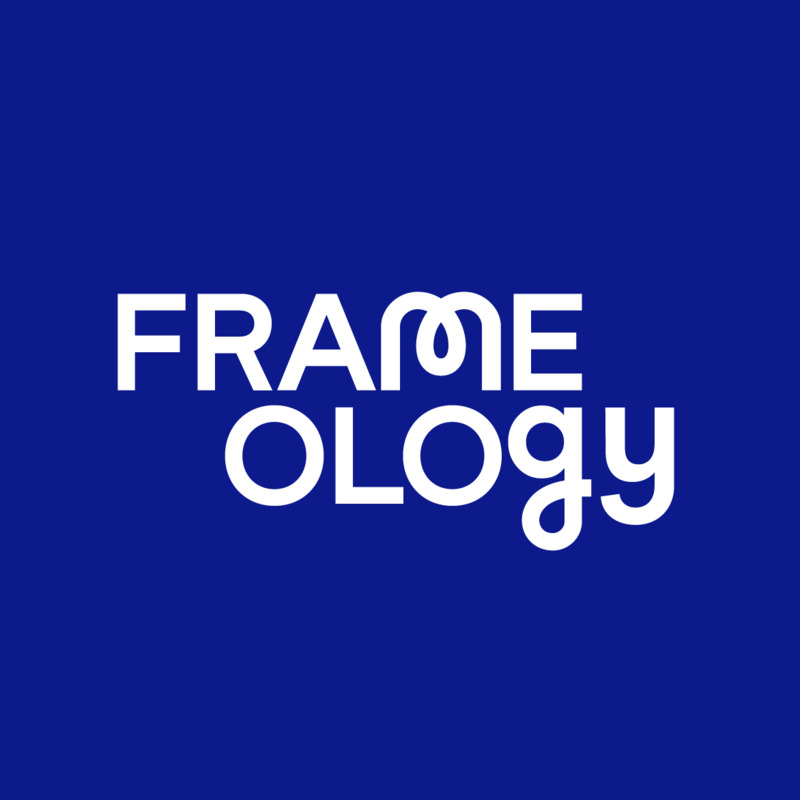 Using a service like Frameology allows you to do what we are talking about which is to give your space a fresh look without having to invest a lot of money. This is great for people who enjoy variety in your lives. One Mid-Century trend that inspires us is “Gallery Walls.” We did this in the family suites we designed for the Ronald McDonald House at Stanford, as well as for a recent client in a Mad-Glam Mid-Century Modern home in Piedmont, Calif., and another client with a California Rancher in Lafayette, Calif. To create the look, we use multiple pieces of art, sometimes mixing painting and drawings in with photos, in different frame sizes, hung together in a group that covers the whole wall. As a rule, we don’t like a TV to be front and center in any room, even media/family room. So if there is a wall-mounted television, putting framed art around it is a great strategy for creating a more balanced and thoughtful look. Nicola is the Interior Designer at the IGD group, a home furnishings retailer that trades exclusively online, comprising Wooden Blinds Direct, Roman Blinds Direct, Poles Direct and many more. With 10 years' experience in buying, design and interior design, Nicola has an impressive portfolio of both commercial and home projects. Most definitely the first piece of furniture to invest in for your home - after a bed, of course - would be a sofa. This is the main influence for any living space, zoning the use of the room as well as providing a dedicated place to sit and relax. We are now seeing a varied mix of decor trends. Just as furniture from different eras can now sit happily alongside each other (consider combining the warm tones and rounded edges of '60s wood furniture with the glamour of '20s-inspired glass and metal pieces), colours and fabrics will also be combined throughout 2017, whether that's to tone or to make a statement. We're seeing lots of mixes of tonal colours - blues, greens and a steady nod back to taupe (which is now trending as greige) - as well as patterns, so don't be afraid to layer a bold botanical print with subtle geometric motifs. We are seeing a move away from the statement wall trend, where just one wall stands out. This year, we will see more tonal colours used on walls, with up to 2 or 3 colours on different walls, or one strong focal colour for the whole room. There's a big return to papers, including luxurious metallic and eclectic mixes of florals and tropical themes. Our walls will now be seen as an expression of our personalities. Art display is also growing in popularity, such as clever uses of mixed frames to create a statement wall. Rebecca Snowden is the Interior Style Advisor at British furniture retailer Furniture Choice. Founded in 2005, Furniture Choice is an innovator in terms of quality, style and service. The most important piece of furniture in your home is the sofa. Not only is it the key focal point of a room but it’s also important for providing a comfortable place to relax. An old sofa can be unsupportive and lead to bad posture, so it’s an important investment for your health as well as the look of the room. A great way to mix trends is to choose an overall style and then add trendy accessories that complement the theme well. If you’re going for a more glamorous look you can incorporate trends such as marble, gold or Art Deco in your accessories. With a Scandinavian style room you can take advantage of the hygge trend and cork accessories. It’s tempting to stick to muted shades when picking a wall colour but being brave can really pay off. Bright, strong colours can really impress and make your home décor stand out from the crowd. My strategy is just to go all in and pick a really bold colour. As "The Designer" on the PBS series "Market Warriors," Bob uses his personality and expertise to strike deal at flea markest all over the US. Prior to PBS, Bob hosted "Minute Makeover," where he transoformed rooms in lightning speed. He's been featured regularly on outlets like The New York Times, Entertainment Weekly, The Huffington Post and more.